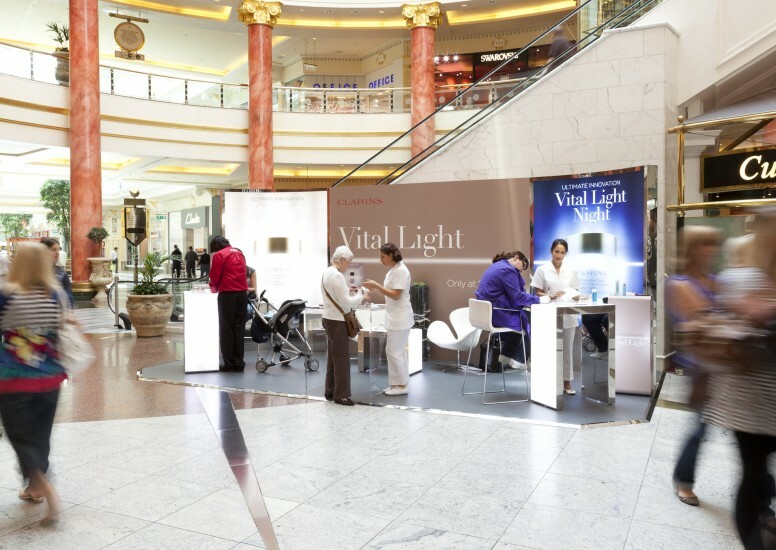 D4R were commissioned to help Clarins with the worldwide launch of the revolutionary Day and Night Vital Light Creme here in the UK at Selfridges. 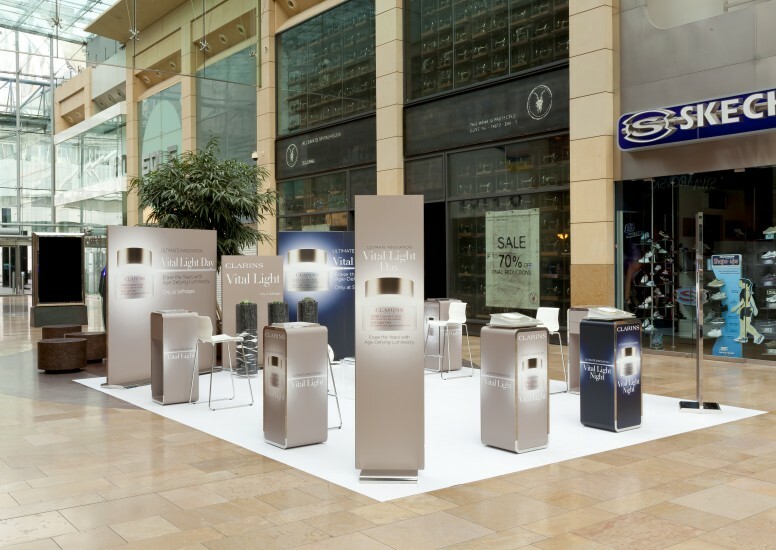 We provided a sleek window display on entry to the store which included a perfect scaled product replica centralised in the window which had light appearing to shine from the lid to tie in with the advertising campaign graphic. 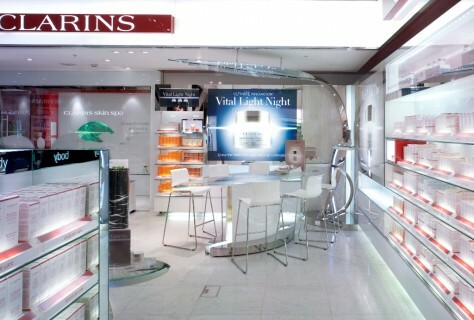 In store there was a hub of activity with a promotional site on entry to the grand beauty hall and the standard Clarins retail site within the store to create synergy for this exclusive launch. We have since created promotional sites for the new Vital Light Serum product. Both design schemes focused on lighting and we created striking effects to illuminate and provide a marvelous backdrop to the products. 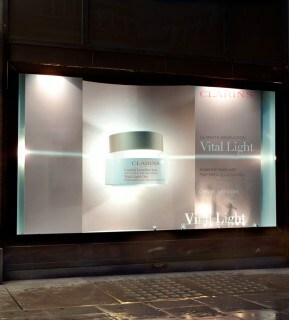 This was a hugely successful product launch for Clarins and we were pleased to be part of it!